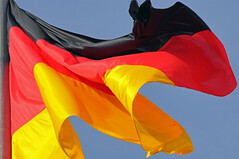 BERLIN – Tax revenues in Germany have grown significantly this year, and the positive tendencies are expected to continue over the rest of 2013. Over the month of June tax revenues in Germany rose by 4.3 percent compared to the same period last year, reaching EUR 59.7 billion, according to information in a new report of the Federal Ministry of Finance of Germany released on July 22nd. The Ministry also noted that the total tax revenues over the course of the first six months of the year also rose by 3.5 percent, totaling EUR 277.5 billion. The increasing tax revenues over the first half of the year were attributed to steady growth in the collections of personal and corporate income taxes, rising by 7.2 percent and 9.3 percent respectively. In the report the Ministry explained that in 2013 the economic performance of Germany was buoyed by strong levels of consumer consumption, rising employment levels, steadily increasing wage levels, and a moderate level of inflation. Despite the increasing revenues and positive economic indicators, the Ministry conceded in the report that the ongoing financial uncertainty in Europe may burden the nation’s economic growth by slowing down export and increasing economic uncertainty.